Sooner or later there’s going to be a zombie outbreak, so you might as well start preparing for it now. When the zombie hordes come knocking on your door, you don’t want to be unprepared, do you? It can be tough to train for the inevitable zombie apocalypse. After all, we all spend at least eight hours a day at work, and when you get home, you’re just too tired to worry about your zombie training. Fortunately, with a little help from Desktop Zombie Bowling, you can fit your zombie preparations into your work day. 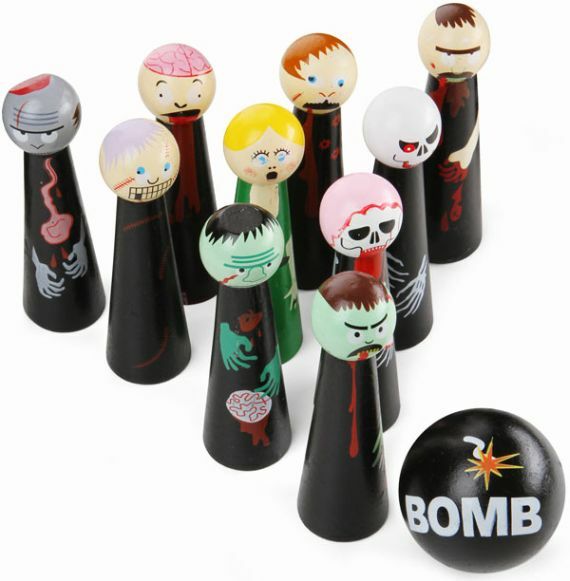 This desktop bowling game uses zombies as the pins, and a bomb as the ball. Just don’t let your boss catch you playing… err, I mean training – he probably won’t approve.